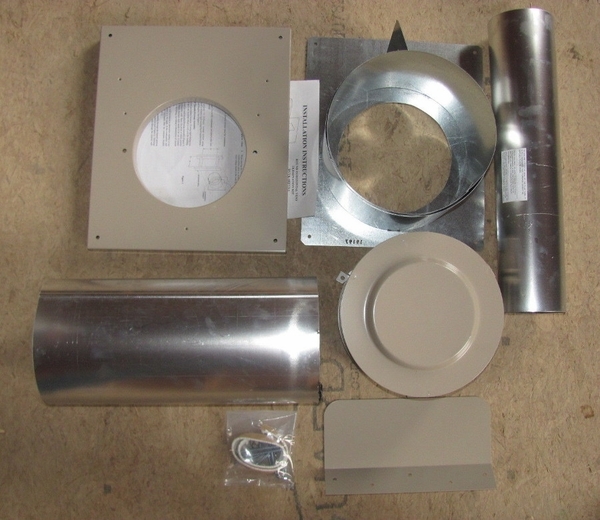 How long are the intake and exhaust pipes of this direct vent kit? The venting tubes are 15 inches in length, per the manufacturer. Can I use this with my 32" Tahoe fireplace? Yes, this vent kit can be used with the 32" Tahoe models as well. Fit the fireplace as it is supposed to. Very neutral looking on the side of the house. Easy to install. Looks nice from the outside and can be painted to match the siding.